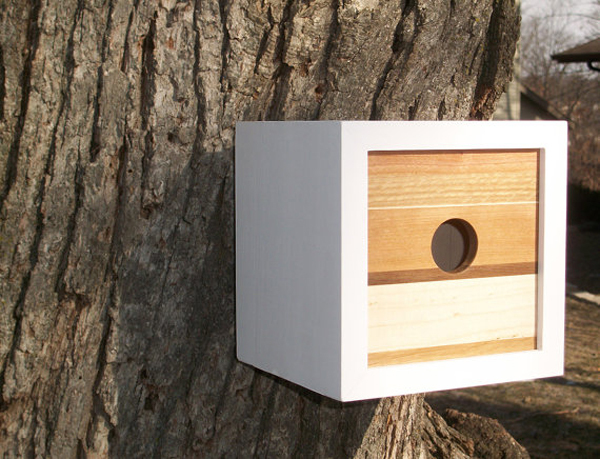 ETSY – Birdhouses by Hubler Furniture Co. 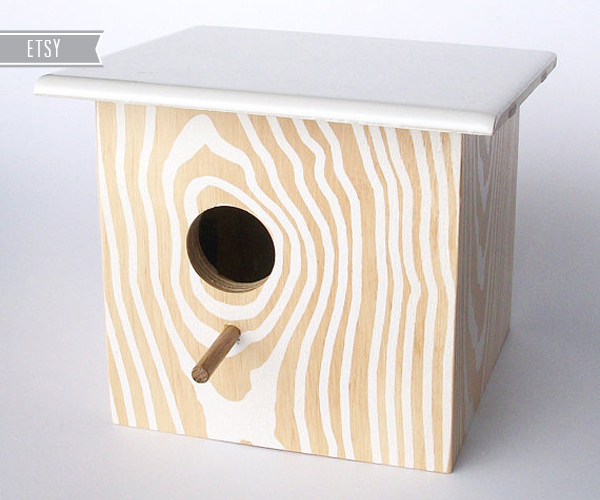 When you think screen printing the first thing to pop in your mind isn’t usually a birdhouse but thankfully Todd Humbler made that connection. 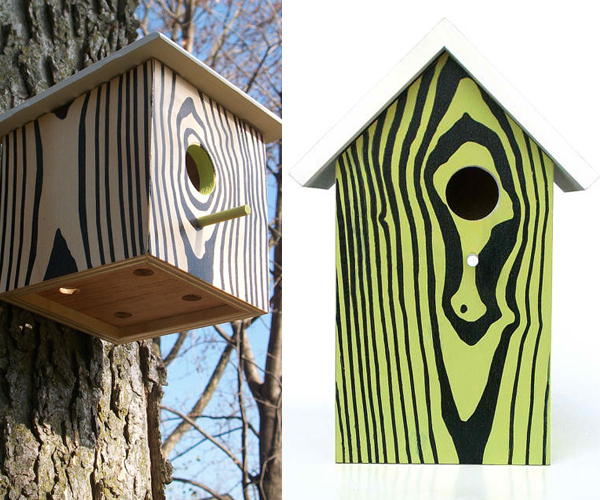 His series of modern bird houses have screen printed wood grain in bright colors that stand out to us humans but might blend in easily with the trees for creatures of the forest giving those inhabitants some added protection. The screen printed collection is made of birch plywood coated with Spar Urethane for protection from the elements and is toped with a removable ceramic tile. 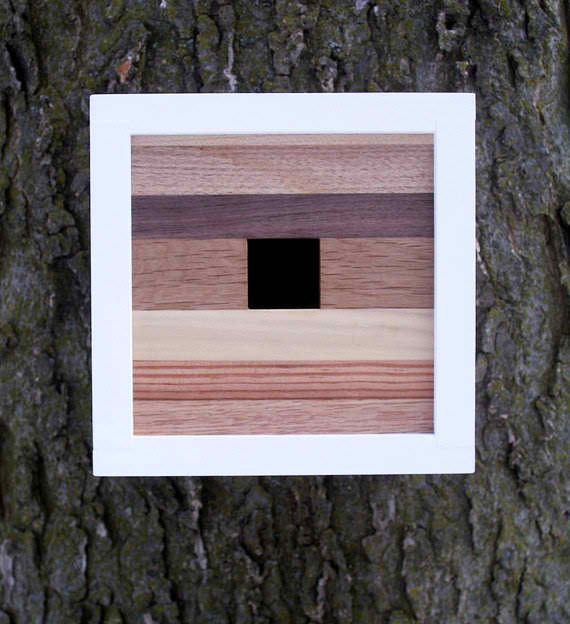 Todd also has a series of birdhouses made from reclaimed and scrap pieces of wood. 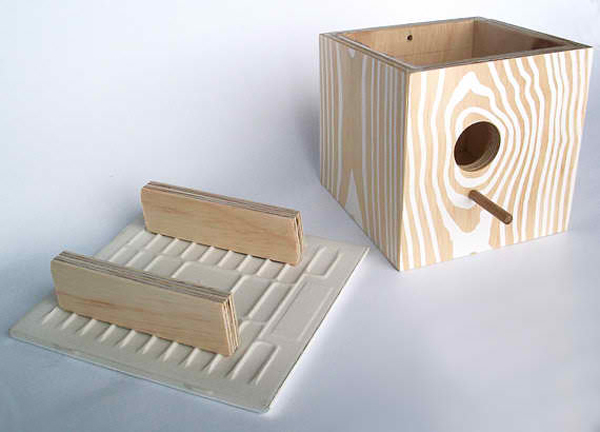 These have a more minimalist feel but maybe thats the way your birds roll.